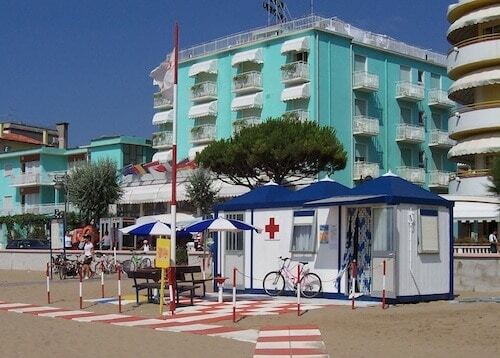 The beach service, with umbrellas and sunbeds, is included in the price. 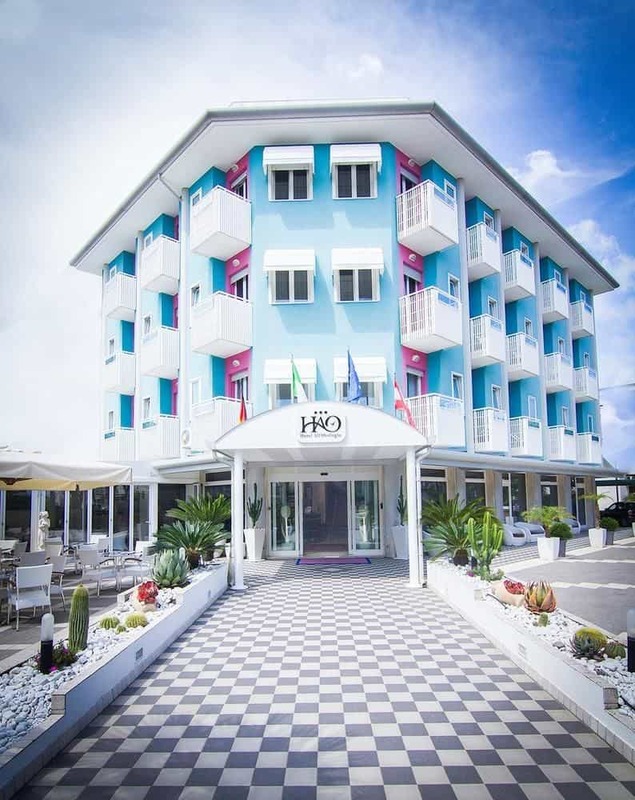 A few steps from the hotel you will enjoy one of the largest and most welcoming beaches in Italy, with new equipment and a splendid and respected nature. Pack your bags, your dream holidays are here. Park your car and reach the beach by walking, the sea is waiting for you! The private beach is 200 meters from the hotel. Just forget the car and take advantage of beach umbrellas and loungers in a modern area with games and sports equipment, changing rooms, showers and bathroom services. are organized by the beach administrators. 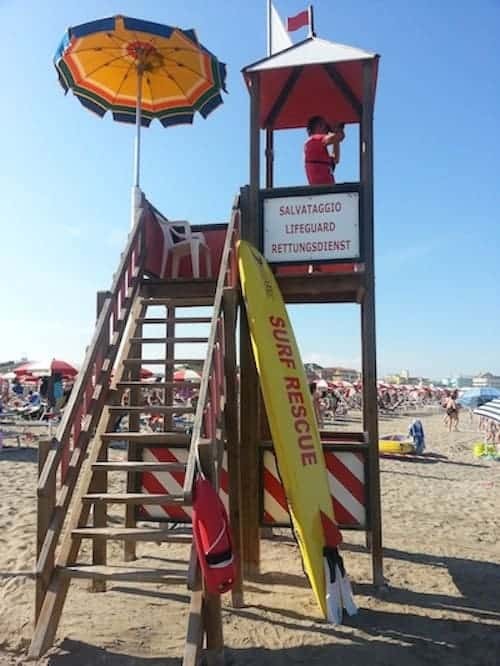 Baby Sitting Caorle Spiaggia, our partner in beach organization, provides hotel guests with a pleasant and very useful free baby sitting service, carried out by expert and qualified staff. 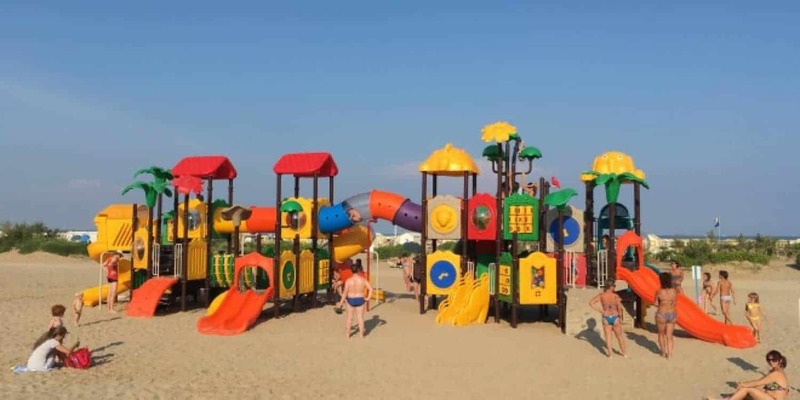 The hotel beach is certainly child-friendly and is equipped with slides, play areas with swings and much more where the little ones can make friends and spend funny times. 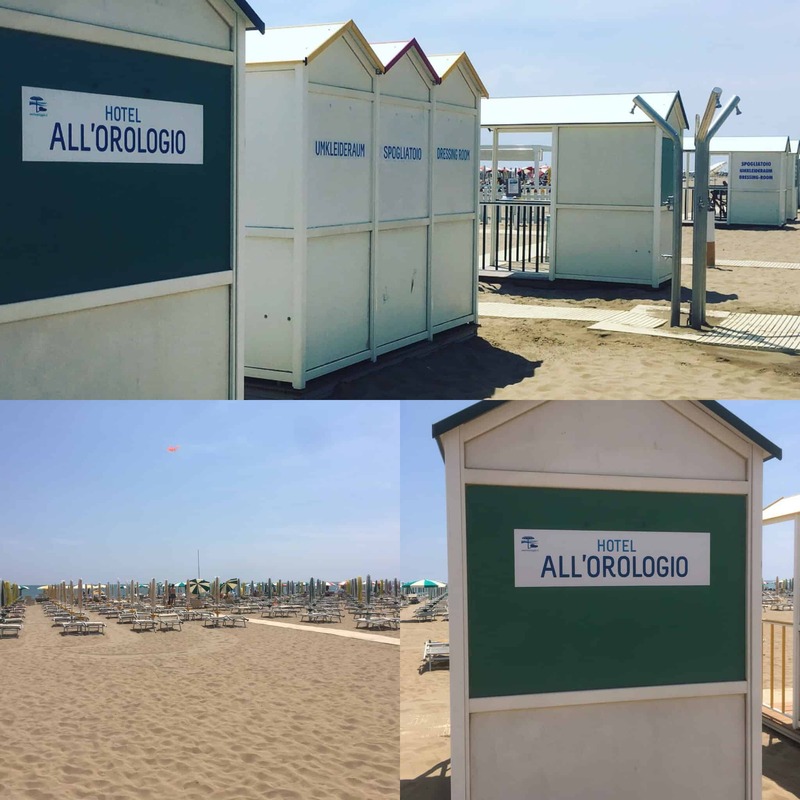 The presence of efficient toilets and showers makes our beach really functional and comfortable, also for disabled people. 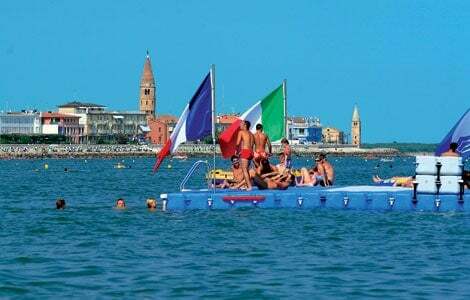 For a diving competition with friends or for sunbathing in the middle of the sea, there is nothing better than the new floating platform, located a few hundred meters from the shore and easily reachable by swimming, which you can use to relax, sunbathe or play in the middle of the sea. 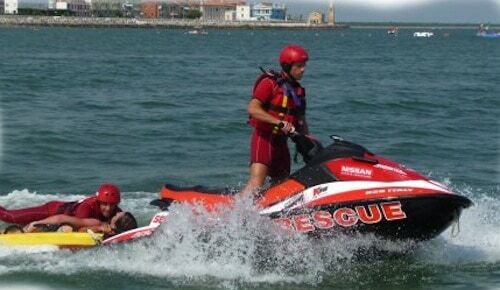 Safety on the beach is one of the aspects on which Caorle Spiaggia gives the most attention. rescue operators constantly working on a total of 22 lookout towers. 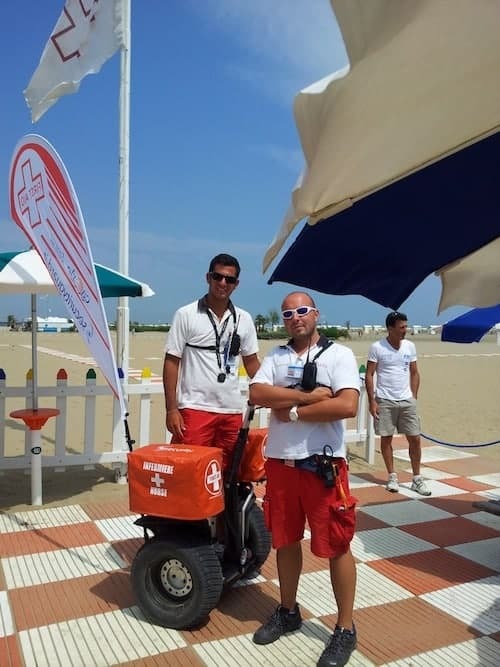 stations and a segway service that can quickly and comfortably reach all points on the beach.